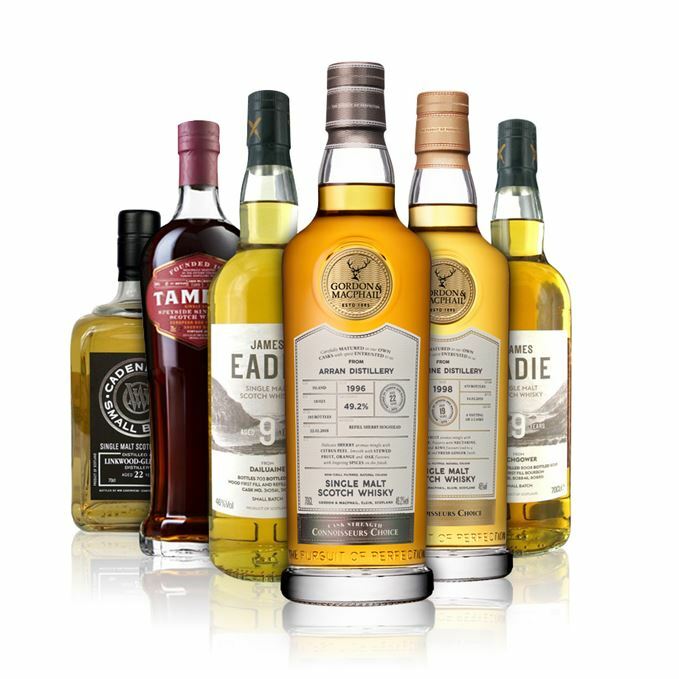 Speyside dominates Dave Broom’s new whisky ruminations this week, with five out of the six single malts tasted hailing from Scotch’s most densely populated whisky region. 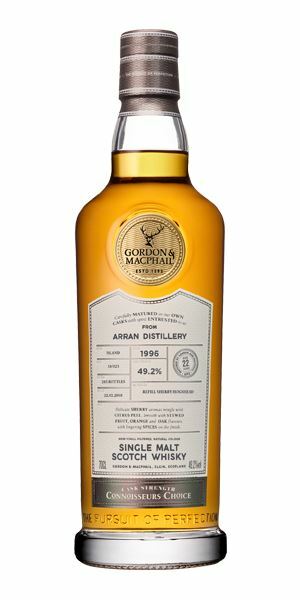 The sole interloper is a mid-1990s Arran bottled by Gordon & MacPhail (G&M), but Broom struggles to detect much of the island distillery’s character beneath the heavy influence of a rather assertive refill Sherry hogshead. 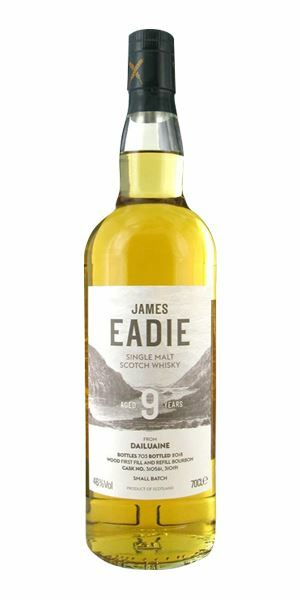 Then we arrive in Speyside with a pair of lesser-spotted Dailuaines – one from G&M and the other a younger example bottled by James Eadie. Both have their undoubted merits, from the enigmatic pleasures of the former to the heavier, drier character of the latter. 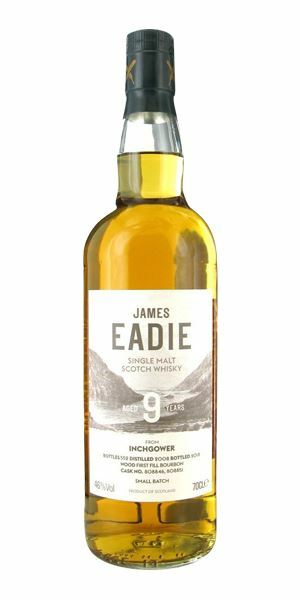 We stay on the richer side of the Speyside spectrum with another James Eadie bottling, this time from Inchgower. Again, the cask has plenty to say here, but there’s also lots of juicy fruit and the result, says Broom, is as comfy as a pair of old slippers. 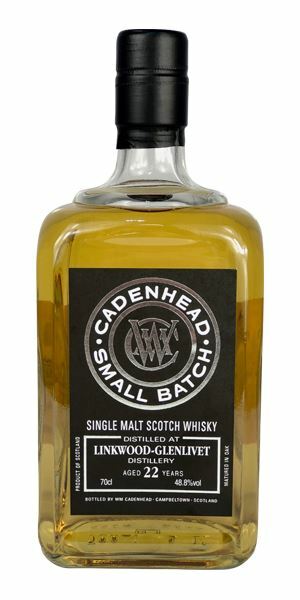 Step forward Cadenhead next, and the highlight of this week’s batch: a 22-year-old Linkwood that brings complexity and a sense of mystery, and demands time, patience and contemplation. ‘Gorgeous,’ enthuses Broom. 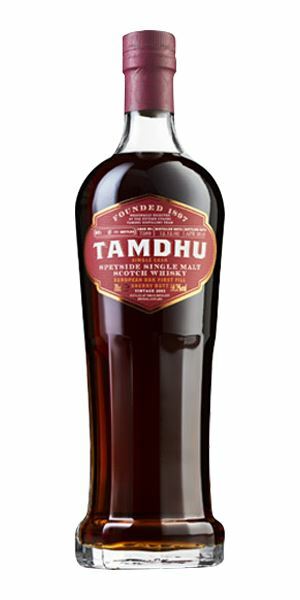 We close with more of a whimper than a bang, sadly, with a single cask Tamdhu selected by the team at the Speyside distillery. It’s full-on, heady and raisined – but, for Broom, the wood has ‘flogged the energy out of the spirit’. It does at least provide an excuse to play a little Black Sabbath – one of six tracks on a Spotify playlist chosen by Broom to accompany these whiskies. Click on the links in ‘Right Place, Right Time’ to find out more. Big and resinous, with a herbal, balsam-like touch to it, alongside light raspberry vinegar, date and walnut. This solidity calls out for a drop or two of water which, when added, amplifies the weight, while adding in some scented spice and a more distinct (and distinctive) orange peel element. A tight, highly-focused opening with clean acidity and this slightly singed quality before it softens into plump sultana, albeit with some needling heat on the sides. It’s pretty wood-driven, although the water does allow the different elements to resolve themselves better, adding a praline-like sweetness and some almond. Finally, some light apricot, oak and sweet spice. From a pretty forceful refill Sherry hoggie. The wood seems to act as a barrier to the distillery character, but in time it calms down (a little). Wood or distillery? It’s still trying to Figure It Out. An opening of tight green leaves, a hint of grassiness and (green) apple skin, backed by fresh lychee and a little pineapple ice cream. Things seem set to progress in this gentle, fragrant fashion, but give this some time and Daluaine’s musky, earthy weight comes out alongside the soft fruits. Water increases this more serious, layered quality, adding in a touch of char. Lightly sweet and sugared, though there are some light tannins and then the typical Dailuaine spread of sweet fruits in the centre of the tongue. Just as things appear to resolve into a deeper, more considered, almost savoury pattern there’s a sudden, intense hit of lemon sherbet. Water adds in drying herbs and some layered, almost savoury depths, playing off the sweet orchard fruits. From a refill hoggie, this has layers of intrigue, adding to the sense that you will never quite fully know Dailuaine. As sweetly strange as Baby’s Breath. 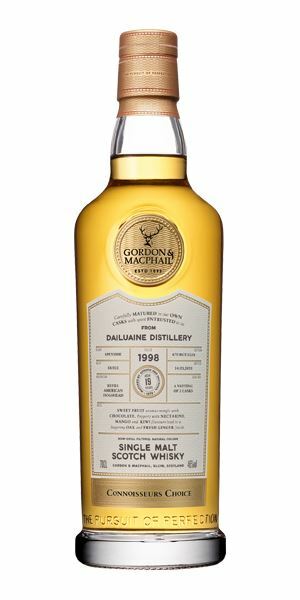 Less green than the G&M bottling, this sees Dailuaine’s heavy, sultry depths appearing immediately, along with the smell memory of dry, dusty pathways through woodland. Things are never classically heavy, rather there’s the soothing blandness of pear and lychee. Gently heady, it then resolves into musky petrichor and linseed oil. When water is added, there’s just a hint of distillery-driven struck match, wet face flannel and those gentle fruits. Lightly savoury. Medium-bodied, it starts off quite crisply with ripe, sweetly heavy yellow fruit, then liquorice root balanced by pear, while light citrus adds lift to the back-palate. Heavy, sultry, with good depth. Water gives more energy and and pulls out more of the dustiness, while never losing the soft fruit. Slightly drier than the G&M, but equally good. Wandering in the woods in Spring. The cask has a big say here: cocoa butter, baby lotion, then light banana, Milky Bars, backed with some peanut, a jag of of lime cordial and orange peel. With water there’s hot sawdust/toasty wood that drifts into caramel. In time it goes a bit like Norwegian brown cheese. A sweet and chewy start, with tangerine and plenty of creamy cask elements, but also considerably spicier, with a slightly mineral edge (though not as saline as many Inchgowers) on the back-palate, and a light apricot element. When water is added, you’ll pick up slightly smoky wood. Zesty, bright orange juice (with bits). As engaging and as comfy as a pair of old slippers. My, my, What Presence for a young ’un. A lusciously sweet, mature Linkwood that shows light fruit, waxiness, lemon blossom and a light nectarine/flat peach juiciness which is kept in check by a cool creaminess, alongside pear eau-de-vie. Water amplifies this gentle complexity, while also broadening it. In time, there’s some dry birch bark. Very gentle and calm, with a slow, gentle mouth-filling quality. It needs time for the slightly oily elements to develop, which add further texture to the mid-palate. Orchard fruits and blossom continue to play around this, but the extra time in cask has also added a light touch of waxy rancio (scented candles), bringing a sense of mystery to the layers of pure fruit essence. Water (just a splash) adds to the spread. Gorgeous. A slow and contemplative dram with real complexity. Take your time. Dreamily wandering into A Clearing. An oddly dull colour, this opens with a full-on, oxidised (PX-style) Sherried blast: heady and raisined, blueberries cooked in dark maple syrup, thick chocolate pudding and old wood. More oak with water. An intense Camp coffee (chicory) opening and (perhaps not surprisingly) huge heat, it then leads you into the depths of an old, second-hand bookstore: foxed paper, damp carpet, bloom on leather. Firm, with masses of dried fruit, the jab of fresh acidity towards the end adds to the impression of this being as much a brandy de Jerez as a whisky. Water pulls out the smell of a wine cellar, some dried mulberry and a touch of sweetness in the centre. The wood has flogged the energy out of the spirit. There’s the sense of things imploding. …and we spiral ever further Into the Void. Batch 153 22/06/2018 Blends, malts, and blended malts, including Clynelish, Glengoyne and Compass Box Delilah’s. Campbeltown Malts Festival 2018 11/06/2018 Delayed, but worth the wait, as Becky Paskin reviews Campbeltown’s festival editions.